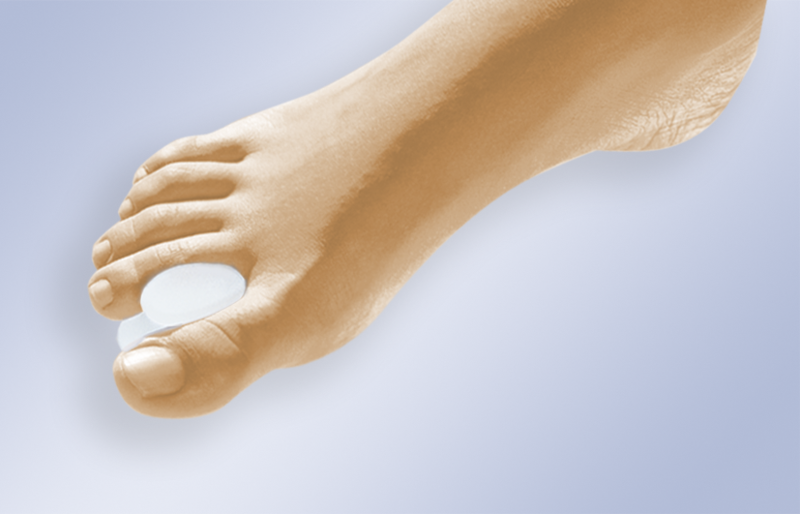 Toe separators made of viscoelastic, hypoallergenic,dermatologically tested polymer gel that inhibits bacterial growth, The separators help to preserve the alignment of the metatarsal phalanx joint (ideal for deformity of the bunion and deviation of the toe in post operative care). Reduces friction, abrasion and irritation between adjucent or superimposed toe. Indications: hallux-valgus, irritation between the toes.